Find in terms of π, the length of the arc that subtends an angle of 30 degrees, at the center of O of the circle with a radius of 4 cm. 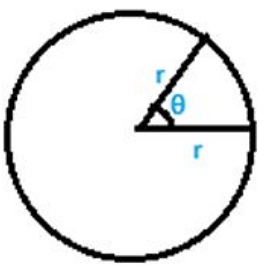 Find the angle subtended at the centre of circle of radius 5 cm by an arc of length 5π/3 cm. 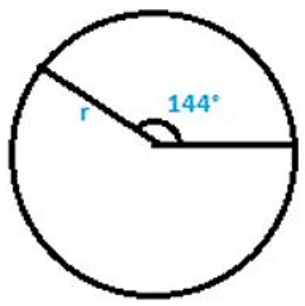 An arc of length cm subtends an angle of 144° at the center of the circle. Solving the above equation, we have r = 25 cm. 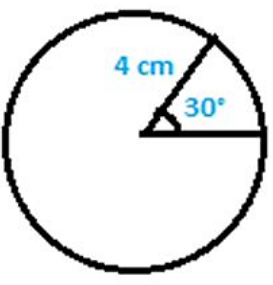 Therefore the radius of the circle is found to be 25 cm. An arc of length 25 cm subtends an angle of 55° at the center of a circle. Find in terms of radius of the circle. 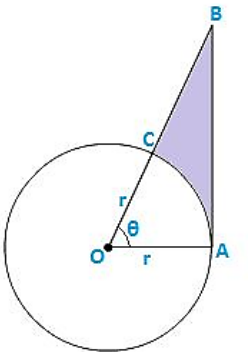 Find the angle subtended at the center of the circle of radius 'a' cm by an arc of π/4 length cm. 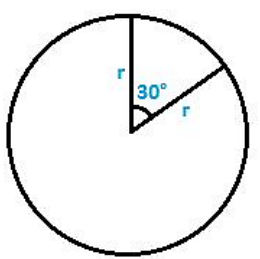 A sector of the circle of radius 4 cm subtends an angle of 30°. 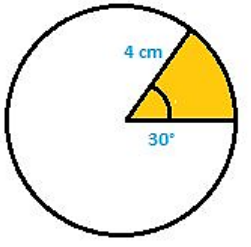 Find the area of the sector. 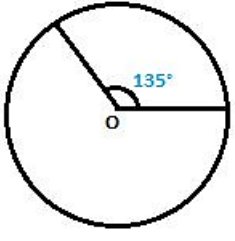 A sector of a circle of radius 8 cm subtends an angle of 135. Find the area of sector. 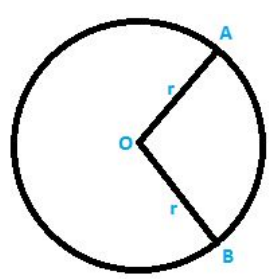 The area of sector of circle of radius 2 cm is cm2. Find the angle subtended by the sector. 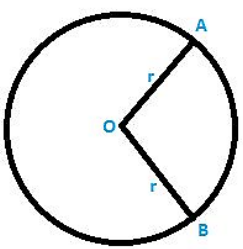 PQ is a chord of circle with centre 'O' and radius 4 cm. PQ is of the length 4 cm. 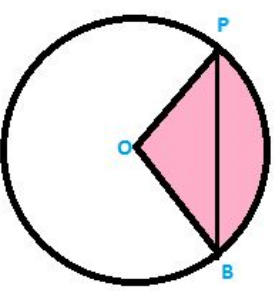 Find the area of sector of the circle formed by chord PQ. PQ is chord of length 4 cm. Also, PO = QO = 4 cm OPQ is an equilateral triangle. 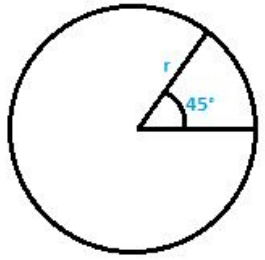 In a circle of radius 35 cm, an arc subtends an angle of 72° at the centre. Find the length of arc and area of sector. 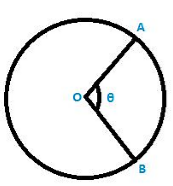 Area of sector of circle =? The perimeter of a sector of a circle of radius 5.7 m is 27.2 m. find the area of the sector. 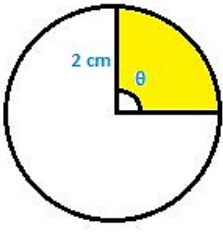 The perimeter of a certain sector of a circle of radius is 5.6 m and 27.2 m. find the area of a sector. 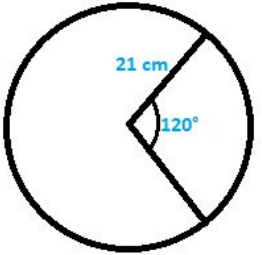 A sector was cut from a circle of radius 21 cm. 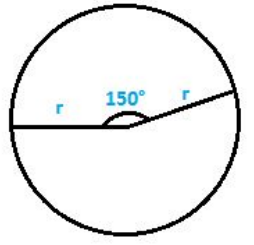 The angle of sector is 120°. 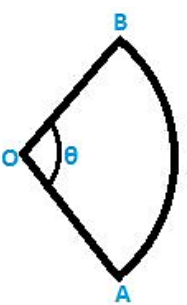 Find the length of its arc and its area. The minute hand of a circle is √21 cm long. Find the area described by the minute hand on the face of clock between 7:00 a.m to 7:05 a.m. The minute hand of clock is 10 cm long. 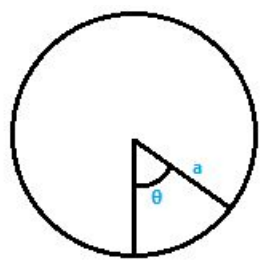 Find the area of the face of the clock described by the minute hand between 8 a. m to 8:25 a.m.
A sector of 56° cut out from a circle subtends area of 4.4 cm2. Find the radius of the circle. On solving the above equation we get, Length of arc = 22.34 cm.